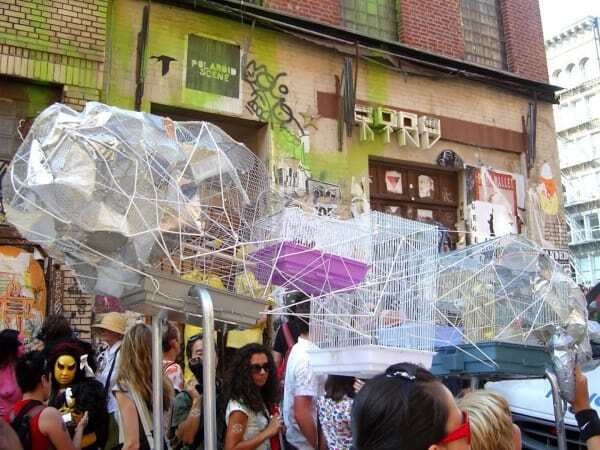 at the Deitch Projects / Creative Time Art Parade in NYC in October 2007. Canary Space Ship is a complex of pre-used birdcages, connected by wire, glue, tape and wool. Inside the complex are three live canaries. Each bird is tagged with an aluminum band featuring my studio address. This precaution must be taken in case the Space Ship is captured by extraterrestrials.